Where were you when the healthcare communications revolution started? Often people look for "natural" supplements to combat illness or promote wellness, sometimes before moving on to a medication approach. They are worried about the side effects and complications associated with a particular drug treatment. This is an understandable response, but there are two factors to consider when looking at treatment options. One is that it is very important to treat most forms of arthritis early and aggressively. This will increase the chances of reducing, or even preventing, joint damage. For inflammatory types of arthritis, like rheumatoid arthritis, early treatment can prevent premature death. Pharmaceutical treatments are proven effective and side effects are monitored. The second issue is that natural supplements, like conventional medications, can have side effects, and because the natural medications are not as well regulated as standard treatments, they can be more dangerous than a person realizes. Also, often there is little scientific evidence to support the claims made about them, whereas standard medications have been rigorously researched. Natural is not necessarily better. The claims are that it relieves aches, is an anti-inflammatory, an analgesic, and an immune enhancer. A potential problem associated with it is that it can stimulate the uterus, causing miscarriage. Paralysis, stomach irritation, heart palpitations and cardiac arrest, death, and allergic reactions, such as contact dermatitis, can also occur. Claims made about it are that it is an analgesic (relieves pain) and an anti-inflammatory, that it eases severe headaches, joint inflammation, gout, and rheumatoid arthritis; however, it is a highly toxic and fast acting poison that affects the heart and may cause death. Toxic symptoms can even occur when administered to the skin. It is to be avoided while pregnant or breast-feeding. The assertions are that it relieves fatigue, stress, and inflammation. The U.S. Food and Drug Administration says that these extracts can be derived from contaminated animal organs. The claims are that it treats gout attacks and eases general arthritis. The problem associated with it is that it is potentially poisonous. It can cause gastrointestinal distress, such as diarrhea, shock, and it can inhibit normal cell growth. It should only be taken as a prescription drug under a doctor's supervision, since it can interact with other drugs. It should be avoided during pregnancy and nursing. Supposedly, it relieves symptoms of fibromyalgia, sleep disorders, chronic headaches, seizures, and depression. But, this supplement is not regulated and some samples have been found with toxic metals, or even other drugs. If you are taking this drug, please inform your doctor or other healthcare provider so they can watch for allergic reactions or interactions. Do not take while pregnant or breast-feeding. It is claimed that it treats insomnia, anxiety, and depression. An impure version was associated with an outbreak of a potentially deadly disease called eosinophilia-myalgia syndrome (EMS) that occurred in 1989. Since then, its distribution has been limited; however, because of the Internet, it is more readily available. Symptoms of EMS to watch for include severe muscle pain, tremors, twitching, swelling, skin changes, trouble breathing, and an irregular heartbeat. It is an unregulated drug, with the potential to be contaminated with other drugs and with toxic metals. It is meant to reduce inflammation and alleviate pain associated with rheumatism. Some claim it also cures cancer. Potential problems are that it may cause liver damage and hepatitis, and kidney damage. It can also cause contact dermatitis. So far, evidence to support its effectiveness in treating cancer is weak, and it turns out it may stimulate the growth of many types of tumours. The claims are that it cures rheumatism and eases pain, but there is a good chance it could be contaminated with bacteria, including anthrax. As well, nausea and allergic reactions are associated with it. There is no evidence to support that it works. The information about these natural supplements is adapted from an article in the Arthritis Foundation's online magazine Arthritis Today, titled Nine Supplements to Avoid. Additional information comes from www.drugs.com. If you want to try these alternative remedies, even with these warnings, please let your doctor or other healthcare provider know before you begin any treatment. If you experience any side effects, please let your medical professional know or contact Health Canada's "Canada Vigilance Program" at 1-866-234-2345. Vitamin D is a fat-soluble vitamin necessary for promoting good health. It helps to maintain bone and joint health because it aids calcium absorption. Additionally, it regulates up to 1,000 different genes, including ones that remove precancerous cells or slow cancer cell production, and it helps the immune system function more efficiently. Inad­equate vitamin D is associated with problems concentrating, mental illness, mortality, cardiovascular disease, falls, and fractures. As well, a lack of vitamin D is associated with autoimmune diseases, incl­uding rheumatoid arth­ritis (RA). However, a sufficient intake of vitamin D may help prevent the body from overreacting and attacking its own cells. A study that came out last year found that women who lived in northern latitudes were more likely to develop RA. It is possible the reason is that there is less sunlight there. Vitamin D is absorbed when cholesterol in the skin is exposed to ultraviolet (UV) radiation from the sun. 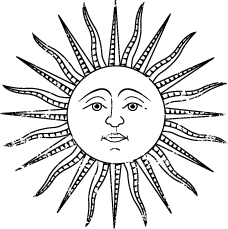 Unfortunately, people who live in the northern United States would have to stand outside in the sun for a minimum of 10 minutes each day, clad only in swimming trunks or a bikini, to get the recommended amount of vitamin D. Those of us in Canada would have to spend even more time out in the sun­­—not a practical, or possible, approach for obvious reasons. Other autoimmune diseases associated with a lack of sunlight include multiple sclerosis and Crohn's disease. On the flip side, lupus is a disease that often flares when an individual with the disease is exposed to ultraviolet light. Instead, it is necessary to stay out of the sun and wear sunscreen and to get vitamin D by eating foods that are fortified with it or by taking supplements. Those with inflammatory forms of arthritis who are taking glucocorticoid steroids, such as prednisone, are at much greater risk of developing osteoporosis. Individuals taking prednisone should take vitamin D supplements, along with calcium. For those taking glucocorticoids, increasing vitamin D intake and calcium must often be supplemented by other methods to prevent osteoporosis, such as taking bisphosphonates or similar medication. Other pre­ventive treatments, which are also recommended for those who have osteoporosis, include exercising (especially weight-bearing types), quitting smoking, reducing alcohol and caffeine intake, and avoiding soft drinks. Vitamin D and calcium are also used as part of a treatment plan for osteoporosis. 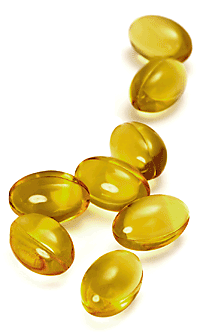 So far, there is no evidence to suggest that sufficient vitamin D prevents osteoarthritis (OA) from occurring. However, because vitamin D helps the body absorb calcium, those living with OA and not getting enough vitamin D may be three times more likely to have their disease advance. To get adequate nutrients from our diet requires eating a wide variety of fruits and vegetables, whole grains, dairy and alternatives, and proteins. Foods that are high in calcium include milk, yogurt, cheese, broccoli, bok choy, figs, and canned salmon or sardines (with bones). Vitamin D is contained in herring, salmon, fortified milk, liver, egg yolks, and shrimp. Vitamin D, in particular, is available only in limited amounts in a few foods. For anyone, it is tough to get the recommended amounts of vitamins and minerals solely from diet. For someone with severe and active arthritis, it can be even more difficult. As mentioned previously, some arthritis medications, such as prednisone, can deplete vitamins and minerals or interfere with the body's ability to absorb them, therefore it can be even more important to take supplements. 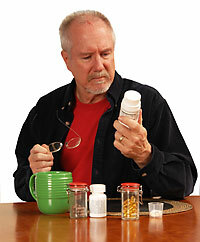 For some, a good quality multivitamin is sufficient, for others additional supplementation may be necessary. Depending on age, for the average person, the quantities recommended for these nutrients are 800–1300mg of calcium. For adults, 400–1000 international units (IU) of vitamin D are recommended every day. The vitamin D recommendation may be higher (800 - 2000 IU or more) for those with osteoporosis, those taking medications that deplete nutrients, or for those over the age of 50. Before adding supplements to your diet, speak with your doctor or a registered dietician about whether supplements would be useful for you. 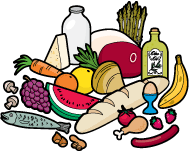 You will be able to find a dietitian in your area by going to the website of the Dietitians of Canada: www.dietitians.ca. A decade from now our children or grandchildren will be asking us what it was like before the digital revolution changed the way we lived. One field where that will be particularly evident is in healthcare. Over the past few years we have been hearing about the rising acceptance of "e-health" and now "m-health" (mobile health) among consumers and healthcare professionals. But, is it really changing the way consumers are educating themselves about their conditions or the way physicians are practicing medicine? Today, the answer is clear. And, revolutionary. Healthcare professionals are dramatically increasing their use of emerging technologies such as mobile and social media. For example, physician smartphone adoption rates will see significant growth over the next few years. 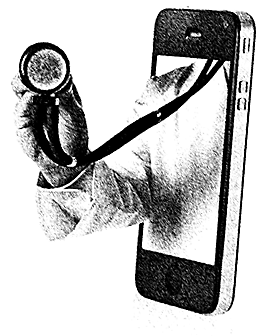 Currently, 64% of U.S. physicians own smartphones, but this will increase to 81% in 2012 according to the latest physician report from the pharmaceutical and healthcare market research company, Manhattan Research. While the last few years saw strong growth in the share of physicians starting to use digital media for work, the next couple of years will see the evolution of a more mature and proficient physician audience. With this shift, the Internet will become physicians' main professional resource. Mobile use will become even more important to physicians as they start to expand the range of activities they perform on these devices to include administrative tasks and patient monitoring. Next time you visit a hospital or a clinic, take a look at how many physicians are walking around with a stethoscope and a smart mobile device. Physicians today are going online first for the majority of their professional needs and will be regularly pulling online resources into patient consultations. How does this affect us as patients and consumers? Well, consumers and patients have not been looking in from the outside as digital and social media have overtaken healthcare delivery. In fact, we were ahead of this revolutionary wave. Over the past ten years, the growing popularity of online delivery of medical information, peer-shared materials and instant linking to resources, facts and details have dramatically altered how people consume healthcare information. Now, when a friend or family member voices a health problem, our first response is not "have you seen a doctor" but "have you looked it up on the Internet?" Instead of watching from the sidelines, Arthritis Consumer Experts (ACE) has been on the forefront of using social media and other innovative channels to communicate arthritis news and information to consumers. Our early adoption of new technology has guided us in the development of Year Two of the Arthritis is cured! (if you want it) National Arthritis Awareness Program (NAAP). Along with our co-leader, the Arthritis Research Centre of Canada (ARC), we are preparing to launch the program this spring. Our plan is to focus and develop social media tools, including sophisticated smartphone tools, to promote conversations between healthcare professionals. Arthritis Consumer Experts is very excited about what is ahead this year for the national program. In next month's issue of JointHealth™ monthly, we will reveal more details about NAAP Year Two activities that will firmly place this program far "ahead of the curve" within North America in creating awareness about arthritis treatment and care. We think it will lead to another moment when you ask yourself, "Remember when . . . ?"